To some people, a roof is a roof. It goes on top of a building or structure to stop the rain getting inside, how complicated could it really be? So, What is the Ideal Roof Anyway? Deciding on your ideal roof might seem like a challenge. It is a big investment and it will be strikingly visible to the outside world. Whether you own or maintain a domestic, commercial or industrial property the cost of replacing your roof prematurely is always going to be more than maintaining it. It is a simple fact of life that most people don’t spend a lot of time inspecting their roofs for problems. Even if you do spend a lot of time looking at your roof it’s difficult to see all of it considering so much is above eye level. The Sydney roofing market has been dominated by a trend that is fast sweeping across the whole country; metal roofing.Metal roofing has been gaining immense popularity over the last several years for both practical and aesthetic reasons, resulting in a huge percentage of new roofs being constructed out of metal roof sheeting. Roofing sheets can be used in a number of ways to help give your home a more industrial look and feel. Adding an industrial look to your home is all about combining unpredictable and gritty urban elements into your home and breaking away from the traditional housing mould. Is It Time to Repair or Replace My Roof? Like all manmade structures, roofing only has a limited lifespan. No matter how durable your roof is, it will eventually need to be repaired, upgraded or completely replaced. Understanding and recognising the obvious signs that your roof has reached this point will ensure that your home or business stays safe in case of an unexpected emergency. Hail storms can cause havoc for homes, leading to serious roof and property damage after major downpours. This damage doesn’t just happen after those rare days when you get golf ball sized hail stones, either. 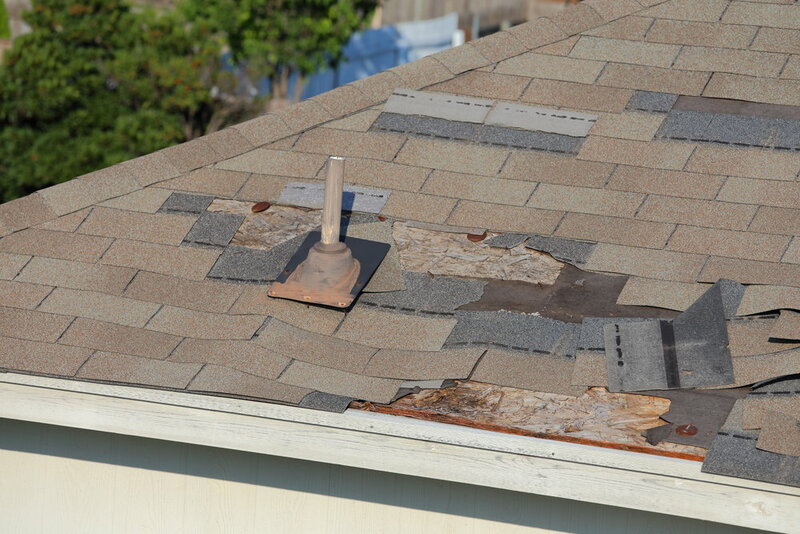 Serious damage can occur after a hail storm of any size or magnitude. If you suspect that you’ve found asbestos in your home or place of work, it is imperative that you act straight away to ensure the safe removal of the material. A leaky roof can cause a great deal of frustration and anguish every time significant rainfall occurs. Having to put buckets down under the leaky spot, losing paperwork to the leak and the constant dripping sound at night are all common annoyances during this period.